2013 Reginald Season. Squabbalogic Independent Music Theatre proudly presents CARRIE, The Musical, in the Reginald Theatre, the Seymour Centre, Sydney. 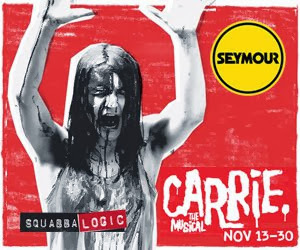 CARRIE, The Musical in the Reginald Theatre at the Seymour Centre is using a 2012 re-working that was presented off-Broadway at the Lucille Lortel Theatre. Originally, presented in 1988 on Broadway, in the Virginia Theatre, it survived only16 preview and 5 performances, costing the investors some $8 million when it pre-maturely closed - a total disaster. Based on the 1974 book by Stephen King and the 1976 movie directed by Brian De Palma, and starring Sissy Spacek and Piper Laurie (both nominated for Academy Awards), it is a supernatural horror story concerning a young girl, Carrie White, bullied at school and at home, who develops telekinetic powers that produce cataclysmic consequences for her and the community she lives in. Music (a rock-musical) is by Michael Gore. Lyrics by Dean Pitchford. Book by Lawrence D. Cohen. This production from Squabbalogic Independent Music Theatre is directed by Jay James-Moody. The Musical Director is Mark Chamberlain. Choreography by Shondelle Pratt. This production was an entire surprise and delight. Mr James-Moody has harnessed all the talents of this company tightly and inspired them to a discipline of honest and direct storytelling. There are no flabby signs of spoof or campery here, rather a gradual ratcheting up of realistic tensions within the High School environment and the White household. The singing is strong. The dancing is tight. The acting is direct and simply expressed. The chorus have developed individual characters that all make a mark of note during the proceedings. I thought that the principals were outstanding: Margi de Ferranti as Margaret White; with Toby Francis as Billy Nolan and Prudence Holloway as Chris Hargensen, the villains of the piece; and especially Rob Johnson who has created a personable Tommy Ross and Adele Parkinson as Sue Snell, the goodies. The standout was Hilary Cole as Carrie, creating an empathetic character with a vocal power and security of aching ability. 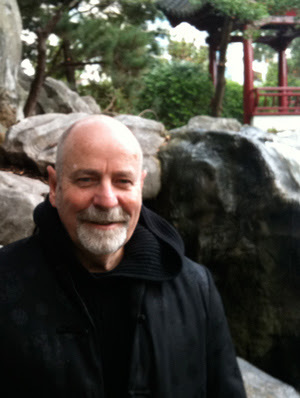 Mark Chamberlain as Musical Director manages the music with his orchestra with some muscular but empathetic control. The design by Sean Minahan is clean and simple and organises the telekinetic 'wonders' with an ease that does away with spectacle and enhances the excitement, just because of that honest and simple approach.The lighting design by Mike Rice is atmospheric and useful in controlling our responses. CARRIE The Musical, because of its infamous Broadway history has become the centre of a 'cult' anticipation around the musical theatre world. This production by Squabbalogic, the Australian Premiere of this work, deserves enthusiastic support for its crisp and honest offers. Talking with a producer-friend in New York recently, he commented that to get a show on Broadway may cost anything from $6million up, and yet in Sydney some companies (i.e. local community groups, to be sure) can produce the same work, for maybe, $6 thousand. In the case of CARRIE then, at the Reginald, with its budget nearer the thousands than the millions, less money, may certainly be better. With "Schoolies" weeks going on around Australia, seeing CARRIE might give pause to some of the ructions. P.S. The new movie version is due any minute, starring Chloe Grace Maetz, Julianne Moore and young Australian, Alex Russell as bad boy, Billy Nolan.